OLD TO NEW: Barpak before the earthquake destroyed most of its buildings, and today with its haphazard modern concrete structures. 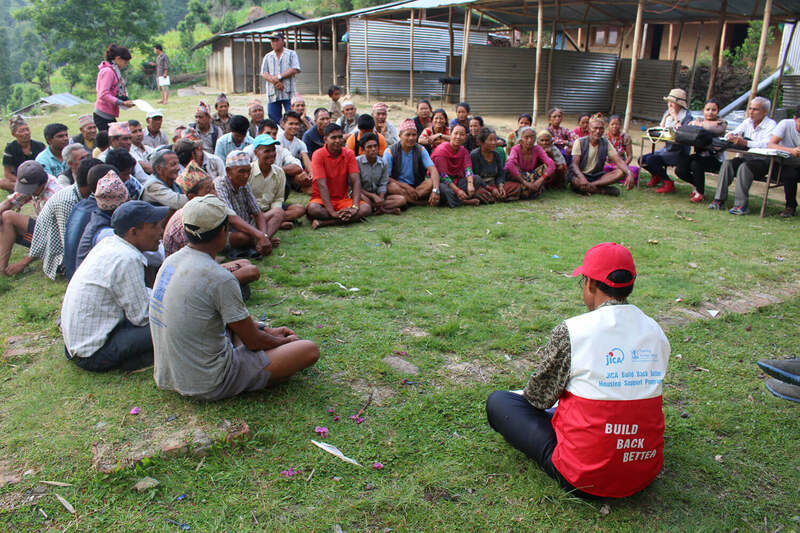 Barpak was at the epicentre of a 7.8 magnitude earthquake three years ago, and due to media attention it also became the epicentre of reconstruction. Residents mostly have relatives in the British and Indian armies, did not have the cash-crunch faced by survivors elsewhere. The town quickly rebuilt itself. 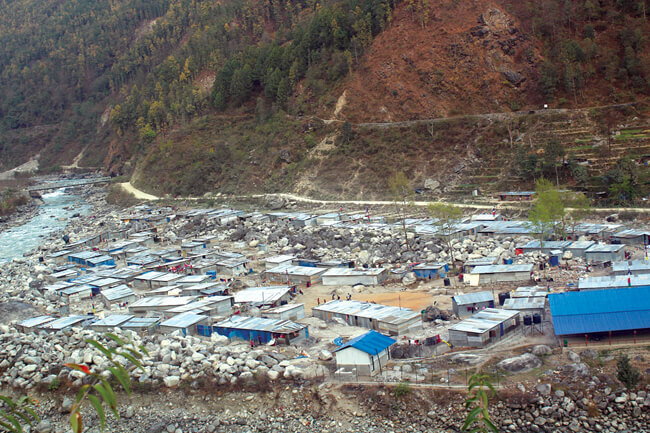 While most displaced families were still waiting for their first installment of housing grants from the National Reconstruction Authority (NRA), most residents of Barpak were already living in their new houses. The scenic town in northern Gorkha made famous because it is the hometown of Victoria Cross soldier Gaje Ghale, has now completely recovered from the earthquake. More than 1,200 of the 1,301 houses destroyed have already been rebuilt, homestay tourism is thriving and remittance money is everywhere. However, Barpak is no more the picturesque ridgetop hamlet with stone buildings and elegant tile roofs. Barpak used to be a living museum of Gurung culture. The charm of the cobble stone streets and a settlement that existed in harmony with its surrounding mountains are a thing of the past. Today, Barpak looks like a clutter of concrete and cement, with architecture that is borrowed from the nondescript boxy construction that characterise Nepal’s highway towns. Every house is of a different size, design and shape. 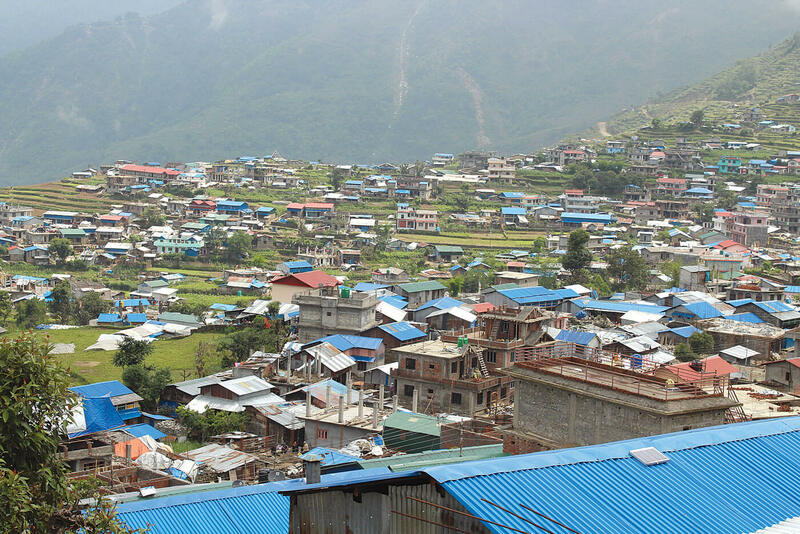 The main reason Barpak and other old towns have lost their traditional ambience is because the NRA insisted that families would only be eligible for government grants of Rs300,000 if they rebuilt by following its list of approved designs. But none of the listed blueprints included traditional motifs in the architecture. Just like in any other earthquake affected village, NRA engineers lacked an understanding of local culture and traditional grammar, drawing up generic seismic-resistant house designs. Some Barpak residents rang the alarm bell, warning fellow villagers that blindly following the government-approved house designs would lead to the loss of their unique identity. But no one listened. In a bid to rebuild Barpak without losing its heritage but still adopting seismic resistant technology, some local residents led by Bir Bahadur Ghale had proposed a reconstruction masterplan. But it was not approved by the government. Besides the compulsion to follow government-approved design, there was also a false realisation that Barpak’s original housing style was vulnerable to future earthquakes since most of the original buildings were flattened by the earthquake, killing 72 people. Many were crushed to death by stones and slates. People in Barpak used to stack up stone slates to roof their houses without using nails or hooks. After the earthquake, they realised that such practice would be a hazard in future earthquakes. And NRA engineers lacked creativity to infuse earthquake-resistant technology with Barpak’s unique architecture. 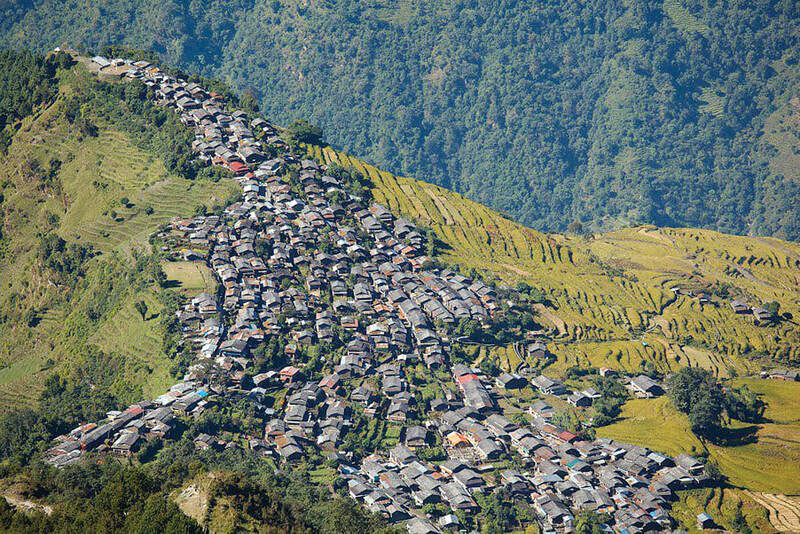 Barpak residents whose relatives served in the British Army or are working in Hong Kong and Kathmandu, therefore, built modern concrete structures. Some, who did not have money, built small and one-roomed homes with the material salvaged from the ruins of their houses, just so they could get the government grant. Such houses do not meet their living requirement, and they are likely to be converted into cattle sheds.